Gigabyte is preparing an impressive Z170 motherboards lineup for the launch of 6th generation Intel Skylake processors. 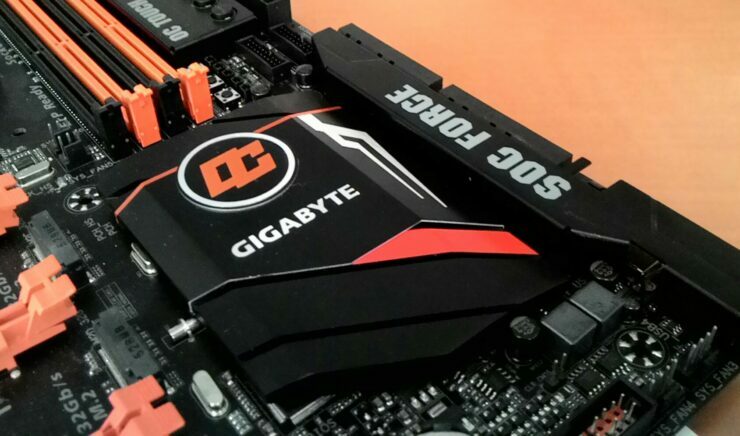 We have detailed several motherboards from Gigabyte based on the Z170 chipset but the one we will be talking about today is the most impressive of them all. Today, we will be looking at the Gigabyte Z170X SOC Force which has been unveiled by itfree4U, showcasing its brilliant, overclocking focused design scheme. 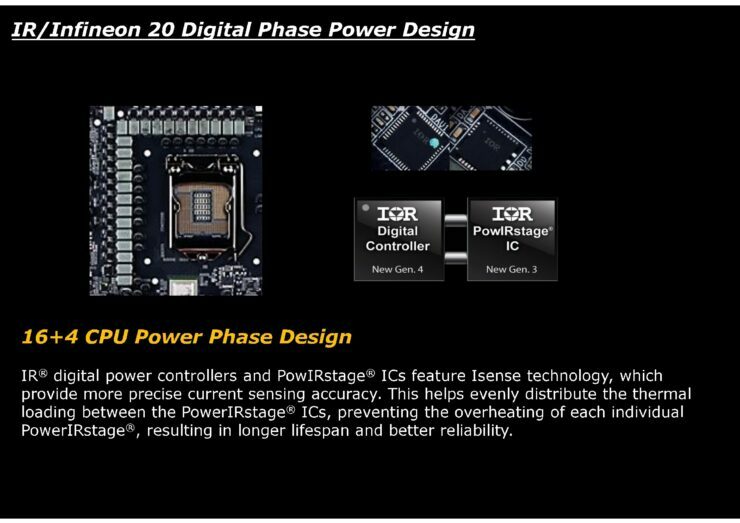 With the launch of Skylake nearing up (5th August 2015), motherboard manufacturer’s are on a roll to prep up their latest products which will be available for consumers to buy. 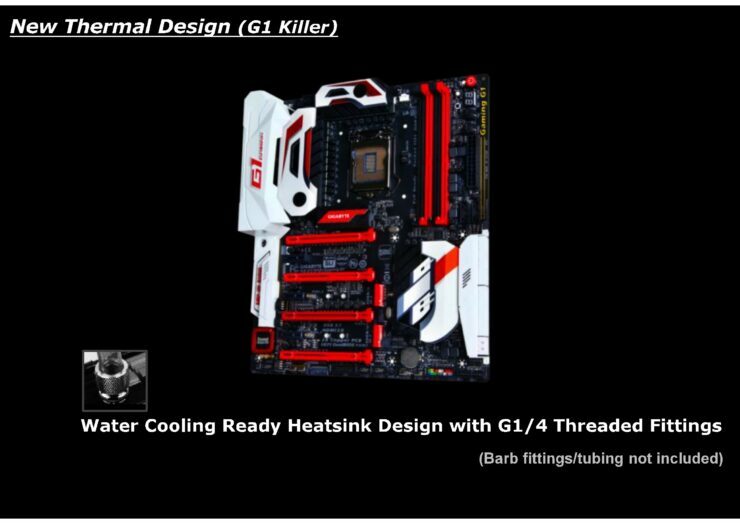 Gigabyte, being the top motherboard maker in the world has so far unveiled several Z170 chipset motherboards which include the Z170X Gaming G1, Z170X Gaming 7, Z170X Gaming 5, Z170X Gaming 3, Z170X-UD7-TH, Z170X-UD5-TH, Z170X-UD3 and a Mini-ITX Z170X board which was showcased at Computex 2015 in June. 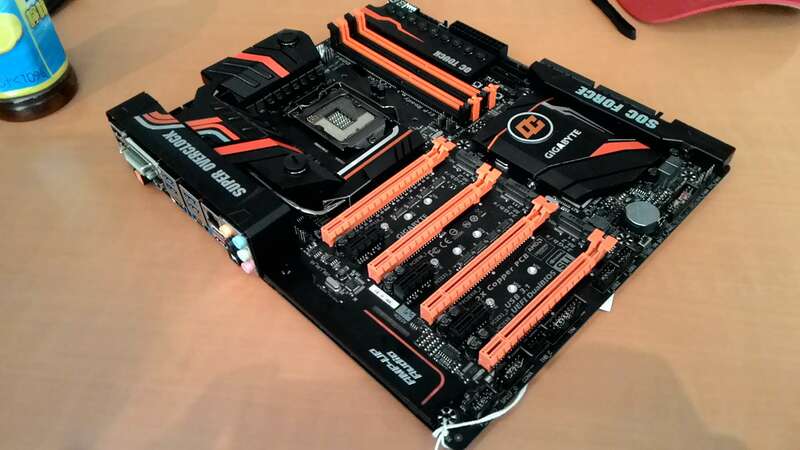 The one motherboard I was anticipating to see was the Gigabyte Z170X SOC Force motherboard which although specifically built for overclockers, comes with high-end features and best components with a neat design scheme covered in a theme of orange and black colors. 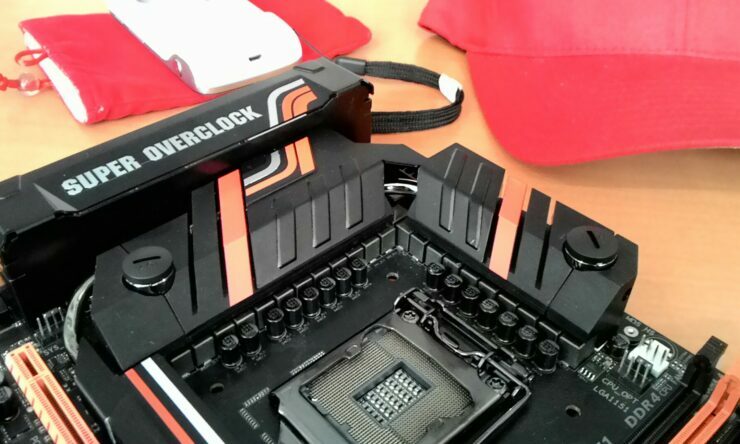 This board just happened to display it self today and now we are going to go in the details of this overclocking heavy product. 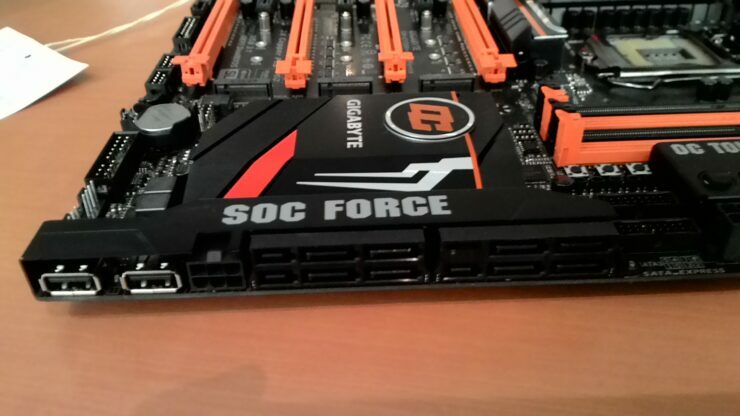 The Gigabyte GA-Z170X SOC Force motherboard is an E-ATX (Extended ATX) form factor motherboard. The board has a n orange and black color scheme with silver labels across the board. 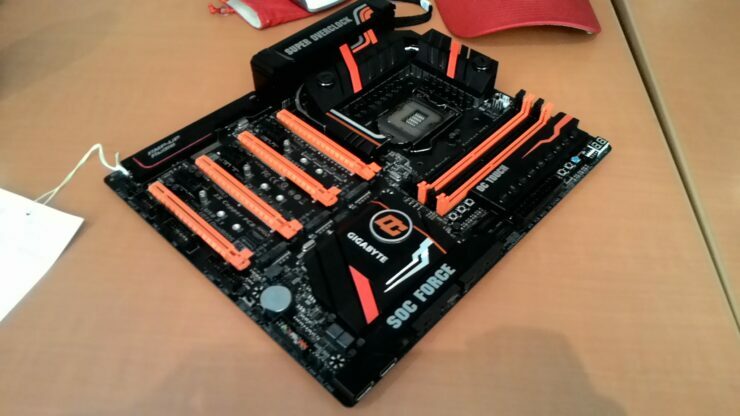 First up, we can see the LGA 1151 socket which will support the 6th generation Skylake Core processors. The first round of CPUs include the Core i7-6700K and Core i5-6600K which being unlocked chips are the perfect partner for this board. Around the socket is a IR/Infineon based 20 Digital Phase Power design (16+4 CPU/PLL/Memory) with a Gen.4 IR Digital Controller and Gen.3 PowIRstage ICs. 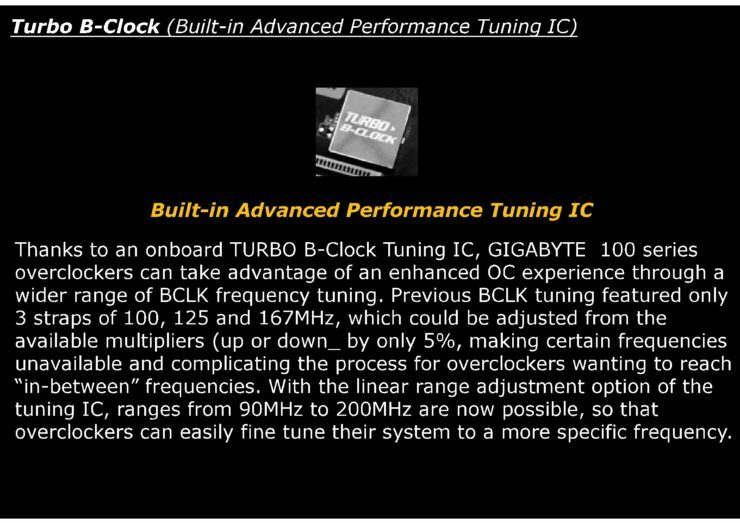 There’s more, aside from the high-end black capacitors, there”s a Turbo B-Clock chip (Built-in Advanced Performance Tuning IC) that is able to push wide range of BCLK frequency tuning in ranges from 90-200 MHz (aside from 100, 125, 167 MHz) which were previously available. The whole VRM block is powered by a 8+4 Pin power connector configuration that is situated art the top of the large heat sink block that cools the PWM. This heatsink incorporates heat pipe cooling across the three PWM heatsinks and comes with water cooling inlets for even better cooling performance under overclocks. 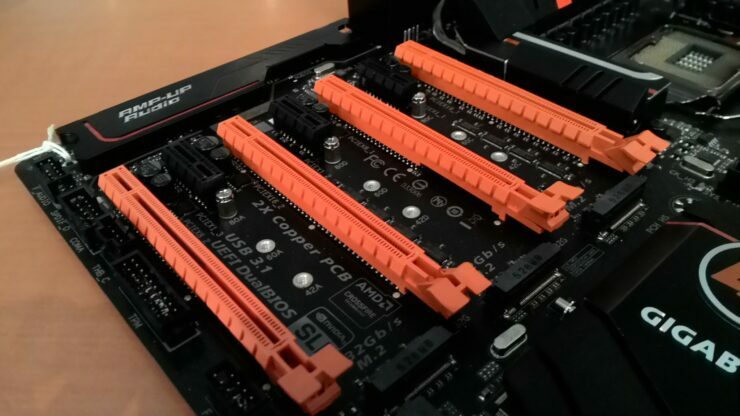 There are four DDR4 DIMM slots that support up to 64 GB of memory with speeds of up to 3400 MHz (O.C+). 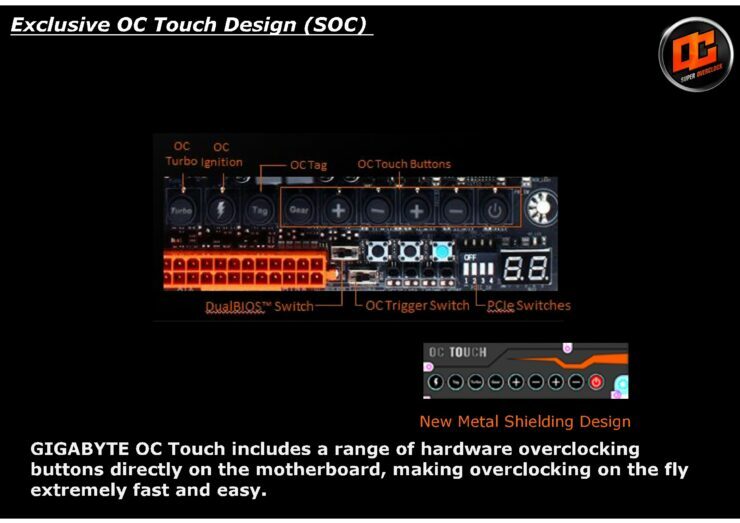 Right next to the DDR4 memory slots is the OC Touch Panel which is the legacy design of the SOC boards. 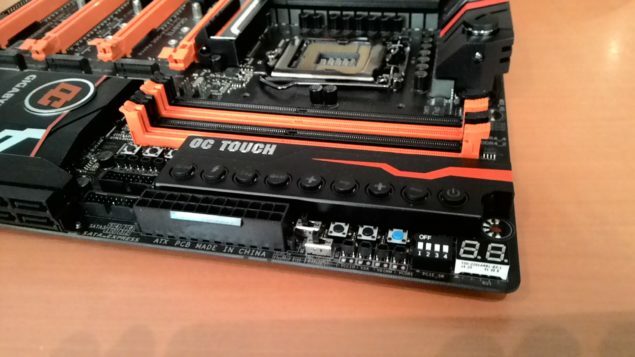 The Z170X SOC Force does away with the extra switches and only keeps the ones which were necessary, we see OC TAG, OC Gear, OC Turbo, Voltage Boost switches still intact. 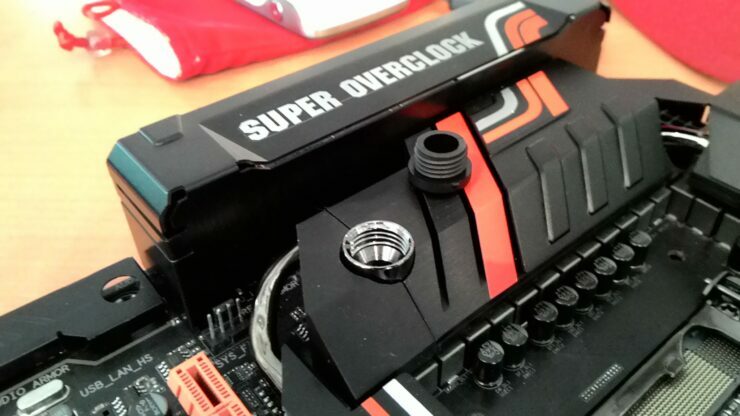 There are switches to increase and decrease CPU clock and voltages next to the On/Off switch. 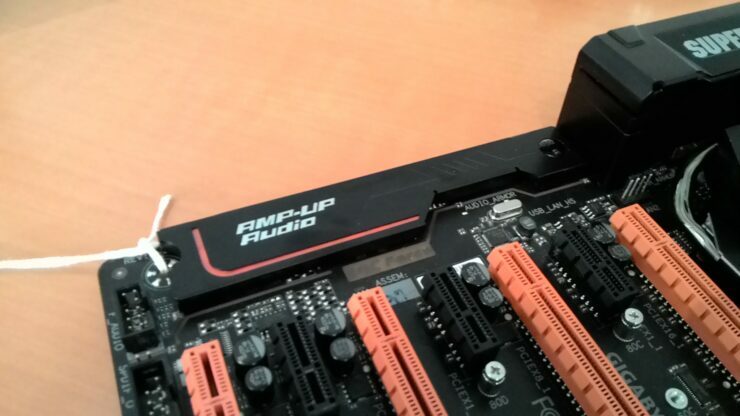 Several knobs can be adjusted to disable extra PCI-E ports and even the memory slots. Voltage check-points are also featured and a Diagnostic LED can be spotted to the top right side of the board. 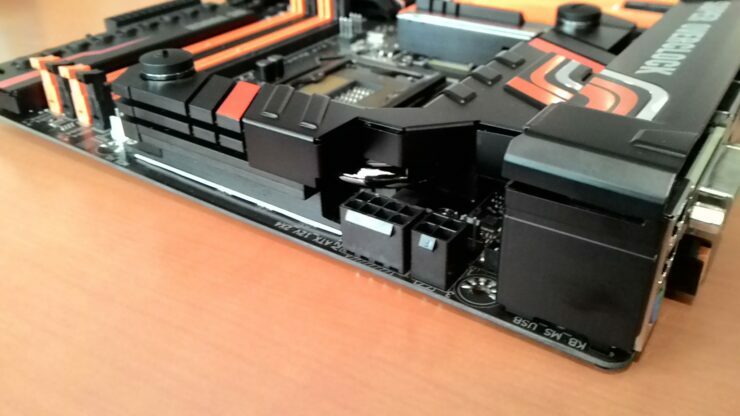 Gigabyte has given the panel a facial uplift by covering it with a plastic shielding which looks great. Expansion slots include four PCI-E 3.0 x16 slots (x16/x8/x16/x8), three PCI-e 3.0 x1 slots and three M.2 slots. You might be wondering if the board will have enough PCI-e lanes to drive all ports at once, but there’s no need to worry since a PLX chip is allocated on the board which is hidden on the bottom most PWM heatsink to add more lanes. Storage options include 8 SATA III 6 GB/s ports, three SATA Express (16 GB/s) ports, two USB 3.0 internal headers, two USB 2.0 internal headers, two USB 2.0 internal ports which can be used by overclockers. 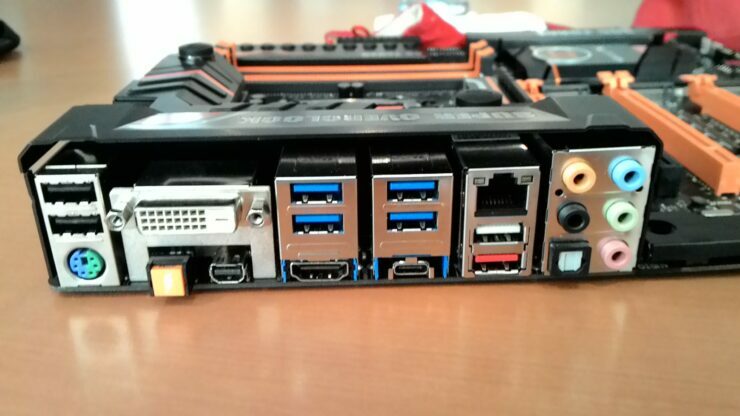 Surprisingly, an 8-Pin connector is found just between the USB 2.0 and SATA ports that adds more power to the PCI-e slots when four graphics cards are equipped. 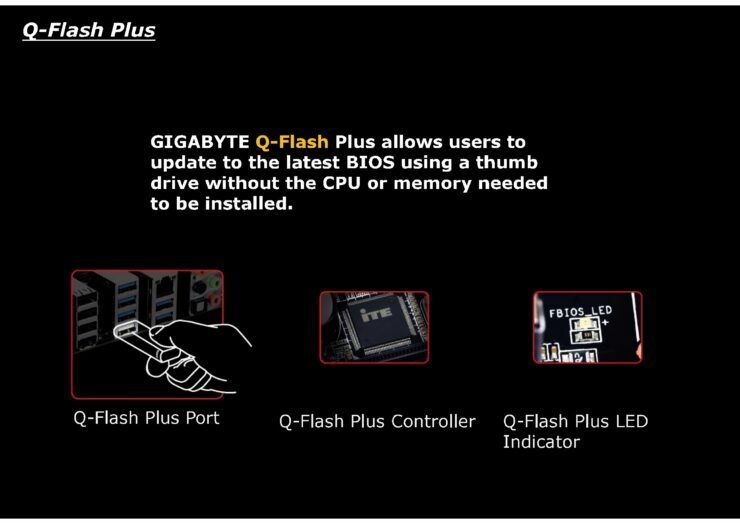 Gigabyte features their AMP-UP Audio technology on the board while I/O includes 4 USB 3.0 ports, 2 USB 2.0 ports, OC Button, PS/2 port, DVI/Display port output, HDMI output, a type-C USB 3.0 port, E-SATA, Gigabit Ethernet LAN port and a 7.1 Channel audio jack.